Perhaps there is a reason that the term, “in lieu of flowers” has gotten so popular. The trend seems to be that families direct well wishers to putting that money towards something more lasting and meaningful. Often people say, “in lieu of flowers please make a donation to…” and they list their loved one’s favorite charity. 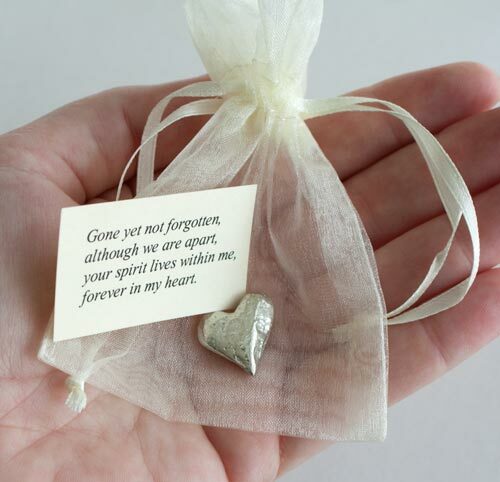 While it’s been a tradition at weddings to provide a little something such as a keepsake gift or wedding favor, now funeral favors or gifts are becoming a popular option to sending flowers or making a donation. Instead of or in lieu of flowers, I recommend memorial seed cards. The cards are eco-friendly and instead of sending flowers that die, friends and family can grow flowers in memory of the departed. 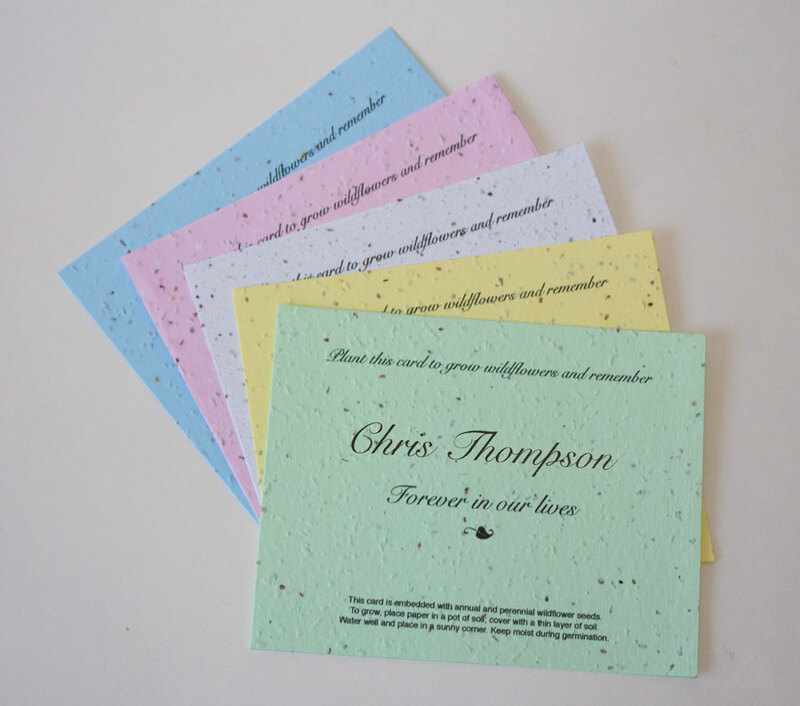 The seed paper is handmade and in the paper making process a variety of wildflower seeds or forget-me-not seeds are added to the paper. When the paper is planted the flowers grow. 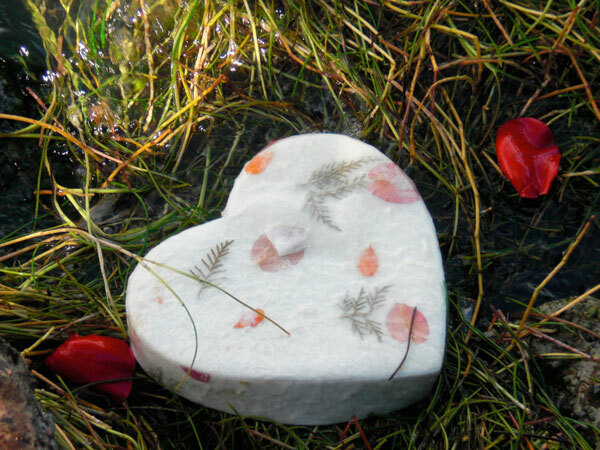 Our most popular memorial card is our Plantable Wildflower Seed Heart Card . The top of the card says, “Plant this card and wildflowers will grow” and the bottom is personalized with, “In Loving Memory of …… Always in our Hearts.” Cards are often purchased by family or friends and the cards are handed out at the service. We are seeing a growing trend in office coworkers sending these plantable seed cards as an appropriate funeral gift to family members of coworkers or if the coworker passed then the office gives the cards to the family to distribute at the funeral. We suggest that a child or young adult hand each person who enters the service a card. Sometimes the cards are handed out with a memorial folder. It’s also becoming popular to send our flat memorial seed card before the service as an invitation to people who may want to attend the service. The card is custom printed with the time, date and location of the service. That same type of card has also been used after the funeral as an eco-friendly thank-you note to those who may have sent a donation or provided a meal for the family. Another use for the flat memorial seed cards has been for class reunions. A card is handed out to each of the attendees saying, “In memory of our following friends from the class of 1979 who are gone but always remembered”, and the names of the departed are then listed on the card. It’s common in the Catholic church to provide a prayer or mass card at a funeral. 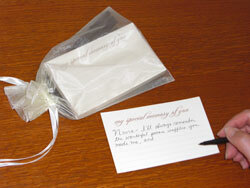 A more modern memorial card choice is our plantable cross seed card (photo above). The cards say, “God called her home, and now heaven’s gardens are more beautiful. 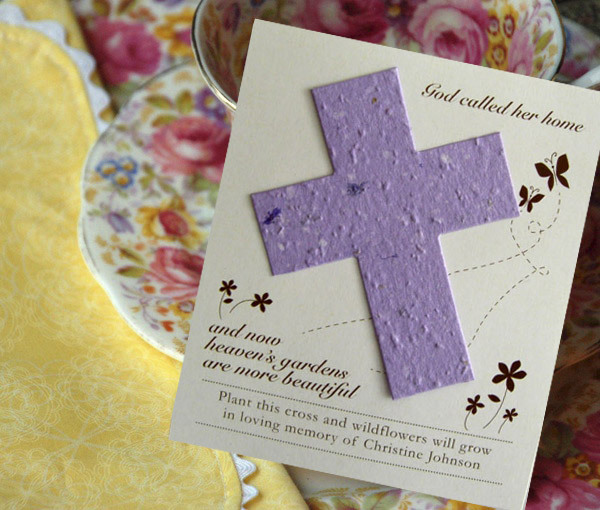 Plant this cross and wildflowers will grow in loving memory of ……” There is also an option to use more of a celebration of life focus for someone who may have been more spiritual than traditionally religious. 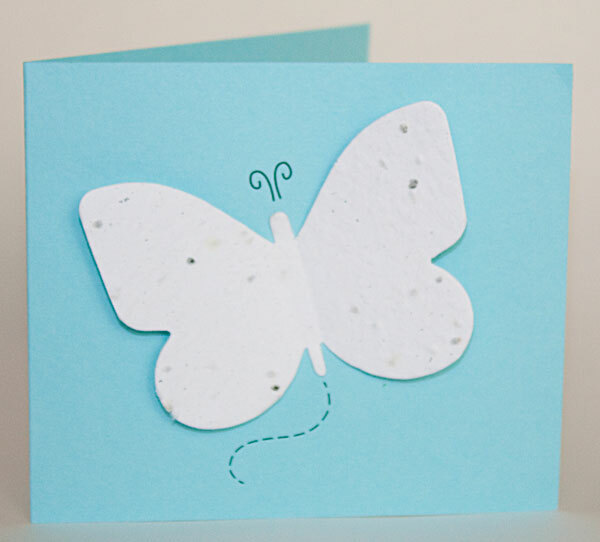 Another option is our butterfly seed cards that contain forget-me-not seeds. This option is a folded card and allows you to add a poem or verse on the inside left side, and the loved one’s name on the right side. 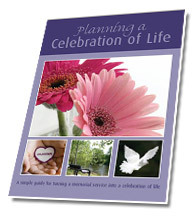 View here our full line of memorial seed cards for funerals. 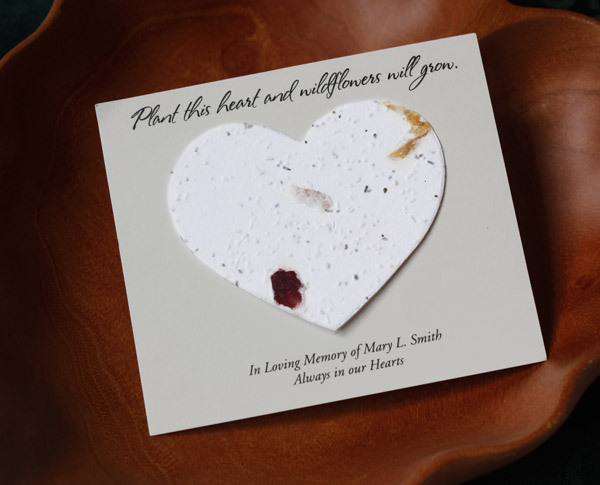 Hopefully, now when you see “in lieu of flowers” you’ll know there is an option to send a gift of keepsake cards as a funeral favor that grows wildflowers or forget-me-not flowers in memory of your loved one. This entry was posted in Funeral Gifts and tagged appropriate funeral gift, butterfly forget-me-not cards, cross seed cards, eco friendly thank-you note, flat memorial seed card as an invitation, forget me not funeral cards, funeral favor, funeral gift, funeral keepsake, grow flower cards, grow paper, In lieu of flowers, In memory of funeral cards, instead of flowers, memorial seed cards, memorial seed cards for funerals, modern Catholic prayer or mass cards, modern memorial card for class reunion, Plantable Wildflower Seed Heart Card, popular funeral favors. Bookmark the permalink. These seed cards seem great! Not only can you let the bereaved know about your sympathies right away, they provide such a long standing memorial too. 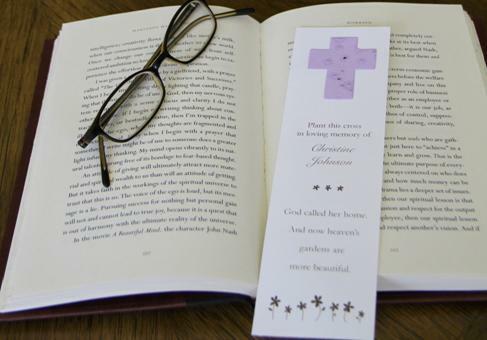 I have a client that offers a wide variety of funeral and bereavement gifts. It would be wonderful to have you join our partner program. If you are interested, please email me at ryan (at) adamriemer (dot) me.